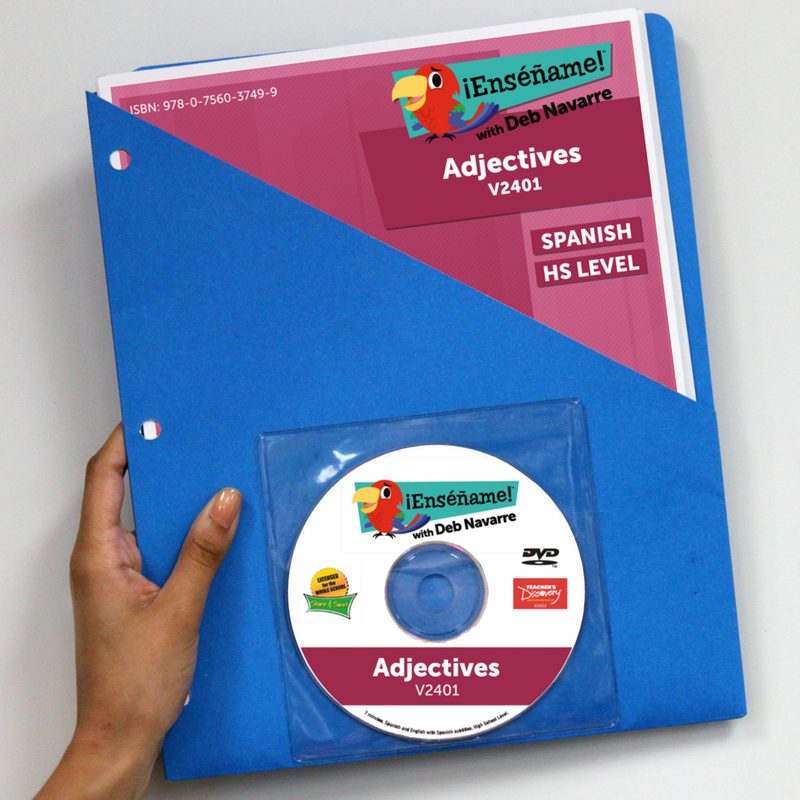 Complete Lesson on Spanish Adjectives! - An awesome video of real Spanish students using adjectives to describe each other and to play a fun drawing game! 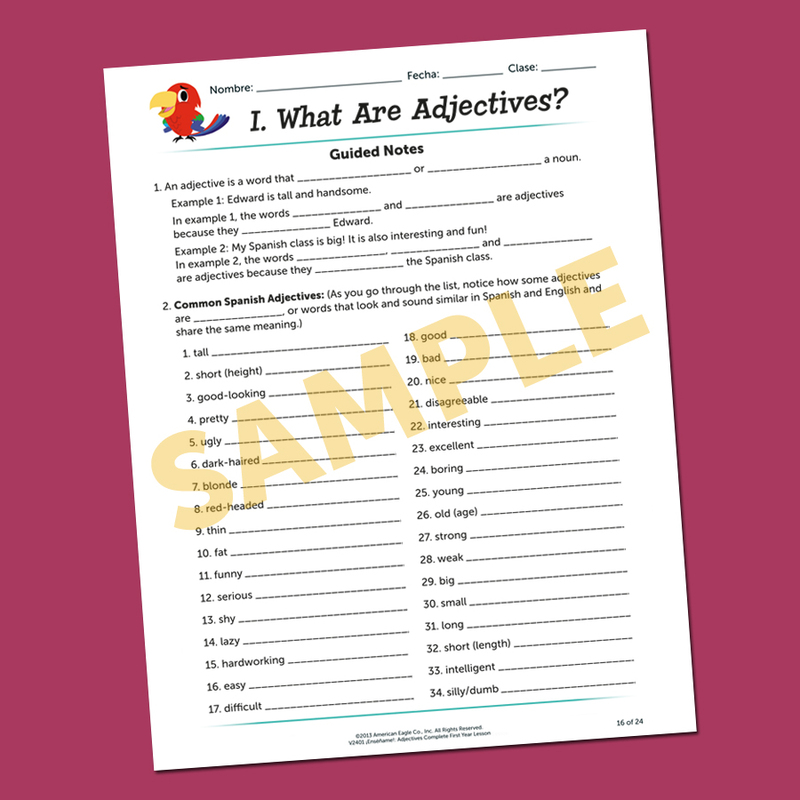 - Handouts, including a crossword, word search and bingo! 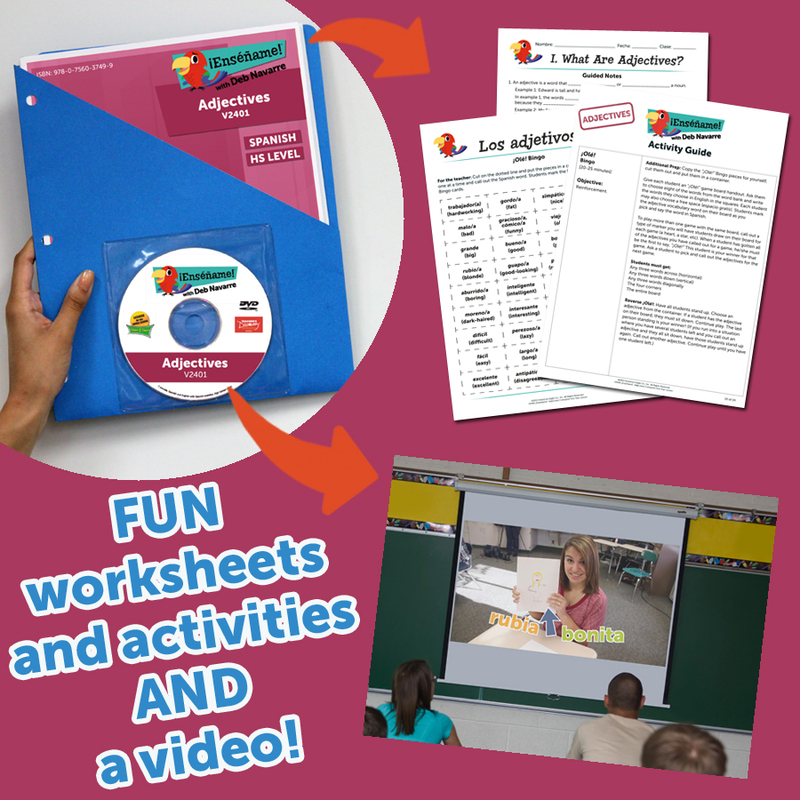 All the resources you need to teach this topic, all in one place! Eighteen or more pages, black-and-white with color cover, in a three-hole pocket with a DVD in a handy pocket on the front OR a digital download consisting of a PDF and a .mp4 video file. High School, Middle School. Spanish and English. Video: seven or more minutes.